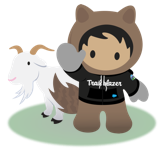 I'm a PM at Arkus, Inc where I help Nonprofits get the most out of Salesforce. I'm also the Community Group Leader for the Jacksonville, FL Nonprofit User Group. Hayley Tuller hasn't posted any ideas yet.